Susan A. Bernstein, Attorney at Law, operates a solo law practice concentrating in environmental, real estate, and land use law; permitting and regulatory compliance. Attorney Bernstein offers more than 30 years of experience working with government entities and the law, providing clients with legal counseling and advice in a cost-effective setting. Attorney Bernstein represents individuals and developers, businesses, corporations, property owners, condominium associations, telecommunication companies and financial institutions. She also represents buyers and sellers in commercial and residential real estate transactions, condominium formations; and related corporate matters. She has extensive experience with projects in the City of Boston and other communities throughout Eastern Massachusetts and has appeared before numerous boards and commissions to obtain permits and licenses at the local level and most particularly the Massachusetts Department of Environmental Protection ("DEP"). The client matters Attorney Bernstein has handled include: hazardous waste; administrative enforcement actions; wetlands, chapter 91 waterways, water discharge and air permits, asbestos, zoning relief, MEPA, Brownfields, c. 40B affordable housing projects, and negotiations with local, state, and federal agencies. In addition, she has represented defendants in federal Superfund cases and other matters before the United States Environmental Protection Agency ("EPA"). She is currently environmental counsel to several law firms; and has worked as a team member to respond to Requests/Responses to Proposals. In the area of renewable green energy, Attorney Bernstein is working with development clients to respond to new energy saving initiatives and LEED certified requirements. She is currently an Editorial Consultant on Green Energy to the New England Real Estate Journal, and writes frequently in their Green Buldings section on court decisions, laws, and policies. 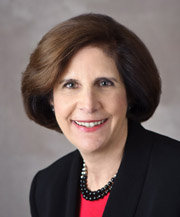 In her career, Attorney Bernstein has worked on several major projects including: Boston’s Harborlights Pavilion, Legal Sea Foods, The Pine Street Inn, Barkan Management Corporation, CVS Pharmacies, the United States Postal Service, Marriott Courtyard at South Bay, Harvard Commons, Clair Automobile Group, Tyco, Verizon Wireless, Rowes Wharf/The Beacon Companies, Boston University's Center for Advanced Biotechnology Research, The Pilot House-Phase I, and Russia Wharf. In the hazardous waste field, Attorney Bernstein has reviewed numerous Phase I and II Reports for clients who own or are contemplating purchase or sale of properties, including: gasoline stations, urban and industrial properties throughout Eastern and Central Massachusetts. She has worked extensively with environmental engineers and reviewed and interpreted environmental compliance reports to provide legal counsel to property owners through various stages of the Massachusetts Contingency Plan (“MCP”) for industrial, commercial, and residential sites in Massachusetts. Attorney Bernstein has also counseled clients about contaminated sites in Rhode Island, New Hampshire, Connecticut, Ohio, Missouri, and Virginia. Attorney Bernstein is a member of the Boston Bar Association's Environmental Committee and a past co-chair of the Hazardous and Solid Waste Committee, (during which she developed and co-chaired its seminars on "Environmental and Land Use: Emerging Issues", and “Recent Developments in Land Use Permitting”). She is also qualified by the Commonwealth of Massachusetts as a Woman-Owned Business Enterprise ("WBE"). Attorney Bernstein is active in several civic, charitable and business organizations and served from 1990 to 2000 as Chair and Member of the Town of Stoughton Planning Board. She is currently a resident of Waltham, MA. She established her sole practice in 1997, prior to which she was with the Boston law firm of Rubin and Rudman, LLP. Attorney Bernstein holds a J.D. from the New England School of Law, an M.S. degree from Hunter College of C.U.N.Y., and a B.S. degree from The American University. She is a member in good standing of the Massachusetts Bar, and admitted to practice in the courts of Massachusetts and the Federal District Court of Massachusetts. She holds a Certificate of Completion from Mediation Works Incorporated’s Negotiations Skills Workshop. She has written articles on environmental permitting and regulations which have appeared in: the New England Real Estate Journal, Banker & Tradesman, Commercial Lending Review, the Massachusetts Bar Association's Property Law Section Newsletter, the MCLE’s Massachusetts Environmental Law Handbook, Massachusetts Lawyers Weekly, New England's Environment, and Women's Business. She has been quoted in The Boston Globe on waterfront and development issues, and the Lexington MinuteMan on land use issues. Prior to her law career, Attorney Bernstein was a senior administrator at the Massachusetts Department of Public Health (“DPH”), where she was involved with environmental and health policy. In her diverse regulatory practice she maintains contact with several governmental agencies.